Silver shopping – not to be missed! Ioannina (meaning “Town of John” in Greek) is the largest city and a capital of Epirus, an administrative region in north-western Greece. Even though human presence in the area dates back to the Paleolithic period (38,000 years ago), it was Byzantine Emperor Justinian I who established the city here in the 6th century AD. In 1204, when Latin Crusaders sacked Constantinople in the Fourth Crusade, the founder of the Despotate of Epirus, Michael I Komnenos Doukas settled in Ioannina refugees of noble Byzantine families who fled the city, thus establishing the Byzantine’s successor state. 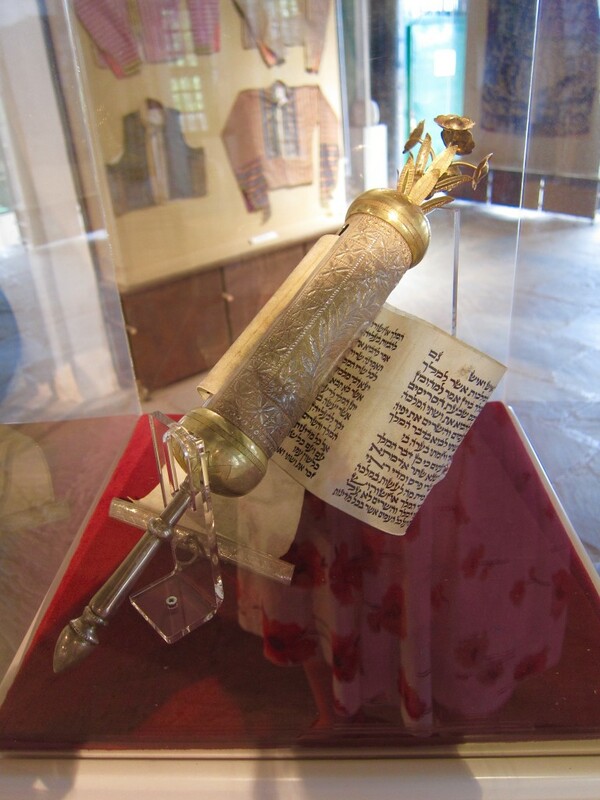 In 1430, Ottoman Turks granted several privileges to the town in exchange for its surrender and after arrival of Sephardic Jews in 1492, it became one of the most religiously diverse city in the area. However, an unsuccessful revolt led by Dionysius the Philosopher in 1611 caused the city a serious setback with abolition of all privileges granted to the Christian inhabitants, who were driven away from the castle area and had to settle around it. Despite that blow, the city managed to recover. Its inhabitants continued their commercial and handicraft activities which allowed them to trade with important European commercial centers, such as Venice and Livorno, where merchants from Ioannina established commercial and banking houses. At the same time, they maintained close economic and intellectual relations with their birthplace and founded charity and education establishments. In 1789 the city became the center of the territory ruled by Ali Pasha – an Ottoman-Albanian lord who was one of the most influential personalities of the region in the 18th and 19th centuries. Although during this time Ali Pasha committed a number of atrocities against the Greek population of Ioannina, culminating in the sewing up of 18 local women in sacks and drowning them in the nearby lake, his rule coincides with the greatest economic and intellectual era of the city. As a couplet has it “The city was first in arms, money and letters“. 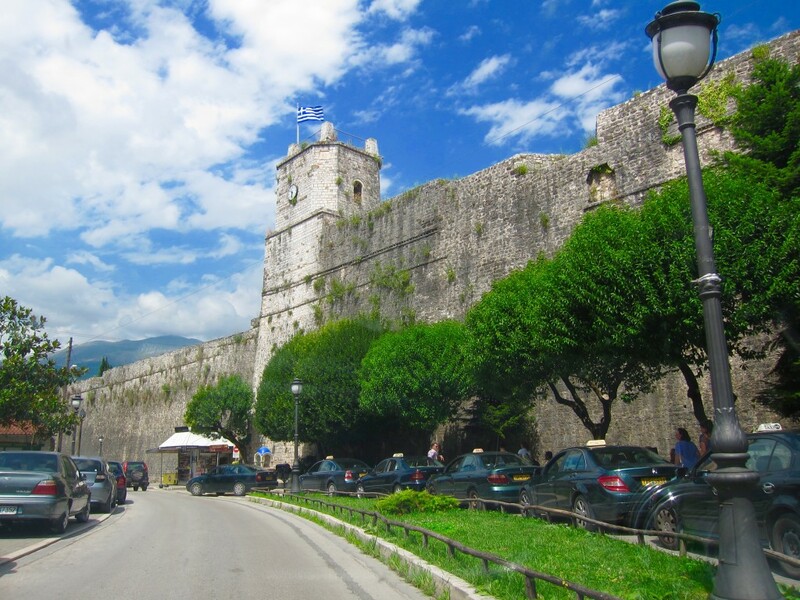 The efforts of Ali Pasha to break away from the Sublime Porte alarmed the Ottoman government, and in 1820 he was declared guilty of treason and Ioannina was besieged by Turkish troops. Ali Pasha was assassinated in 1822 in the monastery of St Panteleimon on the island of the lake, where he took refuge while waiting to be pardoned by Sultan Mahmud II. His severed head was later paraded all over Istanbul. Greeks liberated Ioannina in the 1912-1913 Balkan Wars. The 1923 populations exchanges saw Turks replaced by Anatolian Greek refugees, however a small Turkish community of the Albanian origin continued to live in Ioannina even after the exchange. 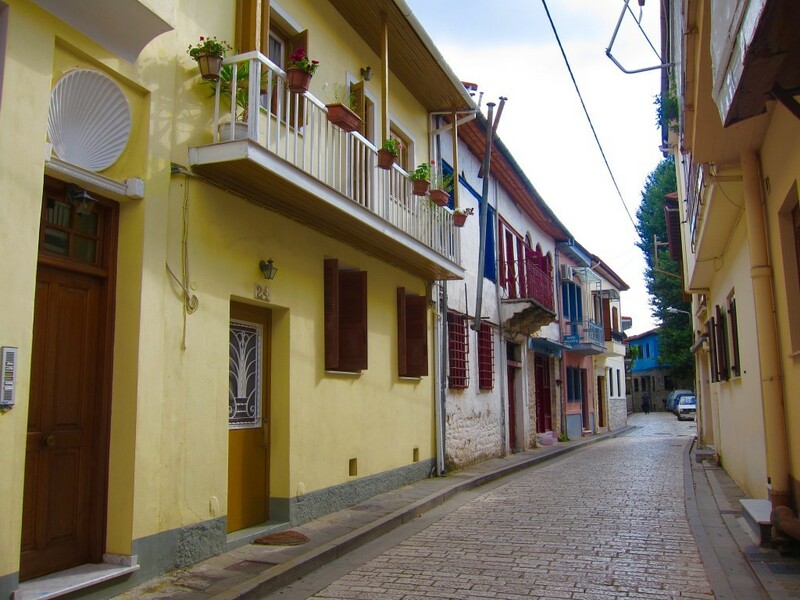 Sadly, another stratum of Ioannina’s population ceased to exist in 1944, when 1,870 jews of its total of 1,950 people were hoarded and sent to concentration camps, only 164 of them returned home. 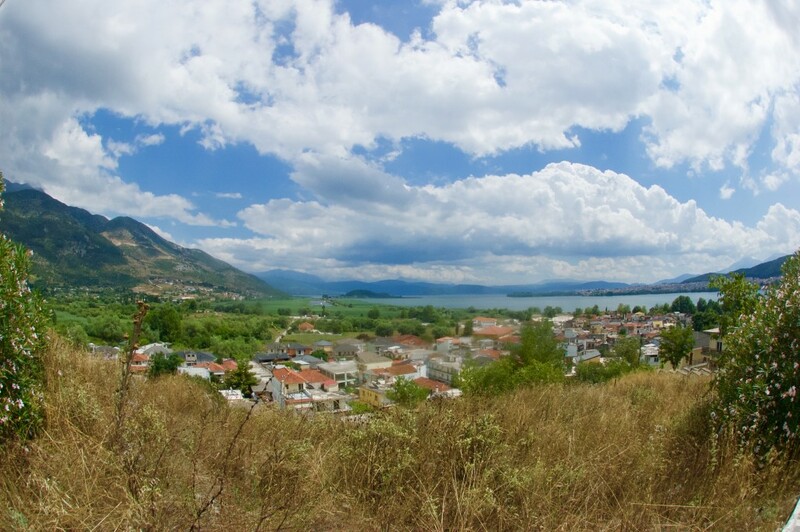 Modern Ioannina is a lovely city (thought they say it rains there 9 months a year) situated around a picturesque lake and surrounded by mountains. Its status as a “University town” with more than 20,000 students didn’t live up to our expectations since we came in the middle of the summer vacation, hence, it was melancholic and quiet, allowing us to explore its streets, castles and mosques in peace. D. and I spent a lovely morning playing with the little ones and catching up with his family. 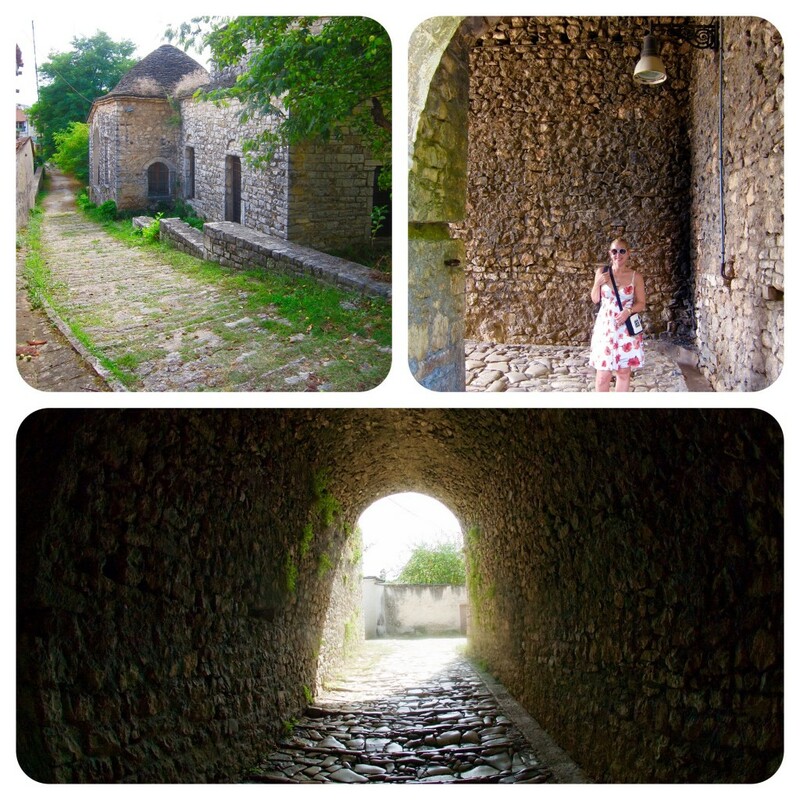 In early afternoon, we drove to the first place we wanted to see – Perama Cave. 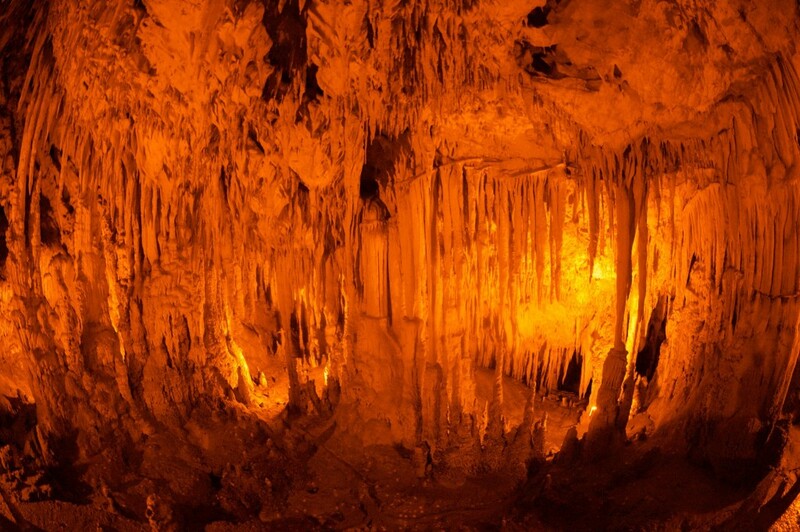 Located in the town of Perama, 4 kms from Ioannina, the cave is 5 kms long (however, only 1,1 km has been explored) and is among Greece’s largest and most impressive. Entry is €7, tours are administered only with a guide and last 45 minutes, no pictures allowed (unless a guide explicitly allows you), bring warm sweater as temperatures drop by 10-15C as you go down. The Perama cave was discovered by accident in the 1940 during the WWII, as the inhabitants of the village were trying to find a bombardment shelter. At the end of the war Constantine Kasvikis, an amateur speleologist went to the cave and took some photos which made the local and Athenian news. It also caught attention of Ioannis and Anna Petrochilos, famous speleologist who came to Perama and began systematic exploration and mapping of the cave. The cave, a product of karst formation, dates back about one and a half million years. The beauty of the chambers defies description. The rich adornment that covers the roofs, the floors and the walls of its countless chambers is unprecedentedly beautiful and perhaps one of the best I’ve seen. According to our guide, the cave has 19 types of stalagmite of all different colors, from red to white, to alabaster… It seems impossible that the hall of the Cross, with its limestone worshippers, was formed without human intervention, and yet, it is a natural sculpture of truly stunning proportions. The Hall of Legendary Palaces looks nothing less but a fairy house. The stalactites projecting from the ceiling look like surprisingly complex yet harmoniously constructed chandeliers. Archeological excavations within the cave have brought to light the fossilized bones, teeth and skull of a cave bear many thousands years old. But various creatures live within the cave now: spiders, bats and dolichopoda, including the unique species named after Ioannis Petrochilos – dolicholoda petrochilosi. Many founds from the cave are exhibited in the local museum that unfortunately was closed on Monday. 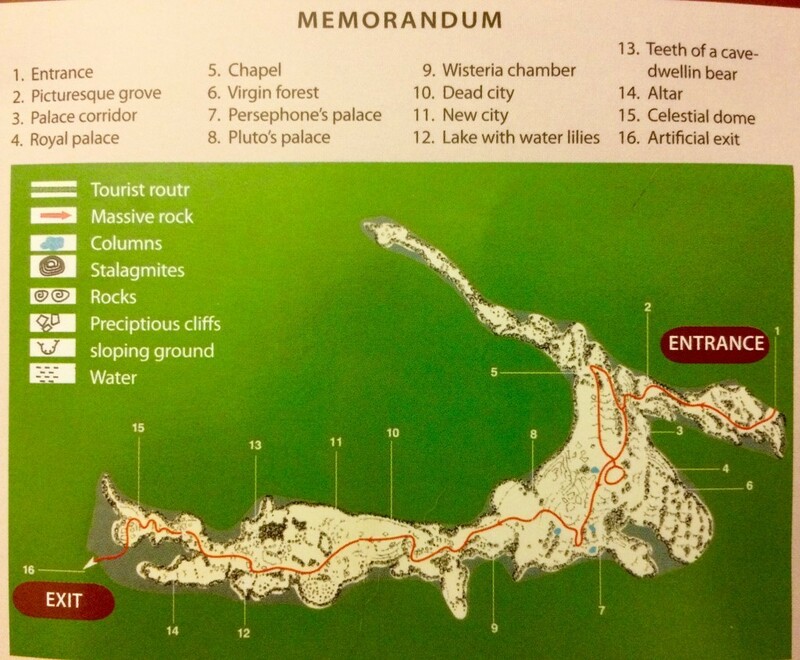 The Cave exit, which is 25 m higher than the entrance, opens to splendid views of Ioannina and Pamvotis lake made famous with the legend of Kyra Frossyni and Ali Pasha. From there, an outdoor scenic path takes to the entrance of the Cave. I have to confess that I would have enjoyed this visit much more if not for a couple of idiots in our group who ignored the warnings and kept taking pictures by hiding behind everybody’s backs, annoying the hell out of everyone. Urghhh! 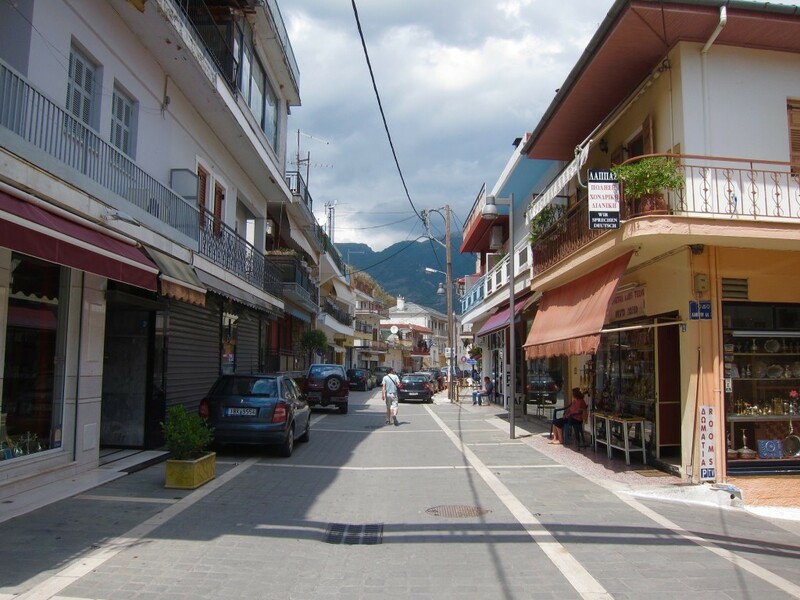 To add, if we had a bit more time, I would have loved to explore Perama town, as it looked very picturesquely Greek, with multiple silver and souvenir shops lining up the main street. 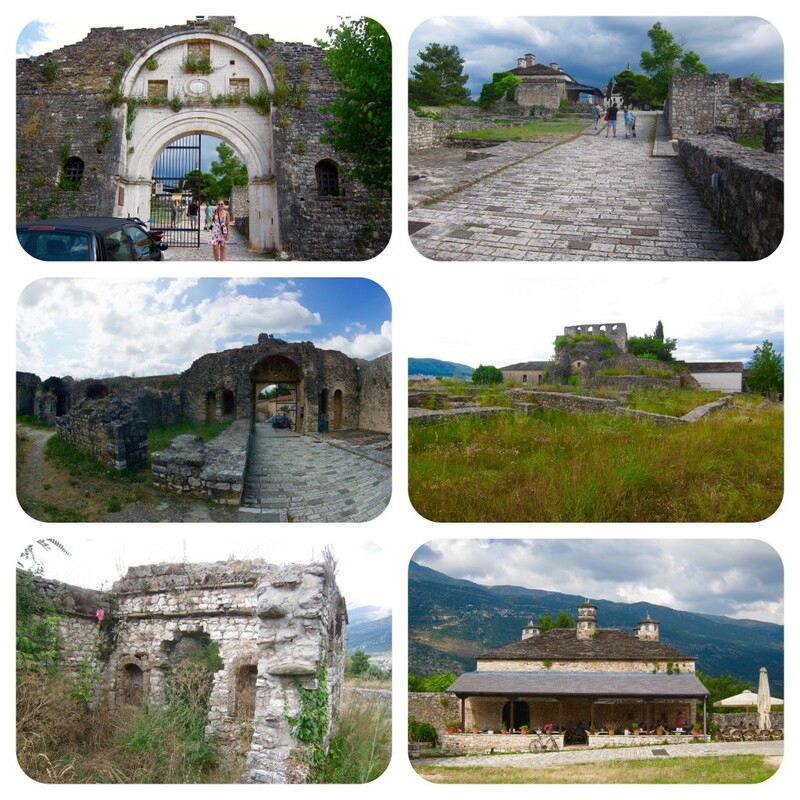 the actual castle town – the old, walled town of Ioannina. We parked a car just outside the city walls and proceeded inside this incredible Byzantine fortified city. The maze-like layout of the castle’s streets (many of which lead to dead ends) was allegedly designed to confuse pirates who breached the castle walls: they would get lost within the fortress, and thus be captured before escaping with their booty. We didn’t have a map but Kastro’s relatively small area had lots of tourist signs indicating the directions – after all, all we could carry back were the pictures and the souvenirs! We knew that most museums would be closed on Monday so we wanted to see two most remarkable spots that were open: the northwest acropolis, on which the Aslan Pasha’s Mosque was built in 1618 to re-establish the dominance of Ottomans after the unsuccessful revolution of Dionysius the Philosopher in 1611 and the southeastern acropolis Its Kale, where the extant Mosque Fathiye, the tomb of Ali Pasha and many other buildings confirm the existence of a palace. After entering through the massive Kastro’s walls we proceeded towards the Aslan Pasha’s Mosque or the “upper settlement” where the royal quarters were built according to the Byzantine sources. The Byzantine phase of the acropolis survives in segments of the initial fortification that were incorporated in the Ottoman reconstruction of the enclosure, in the monumental gate and the circular solid towers located in the southeastern part of the acropolis. The gateway projects between two smaller solid towers. The space between the two towers was covered with a semi-cylindrical arch, which is not preserved today, while part of its exterior was recently rebuilt. 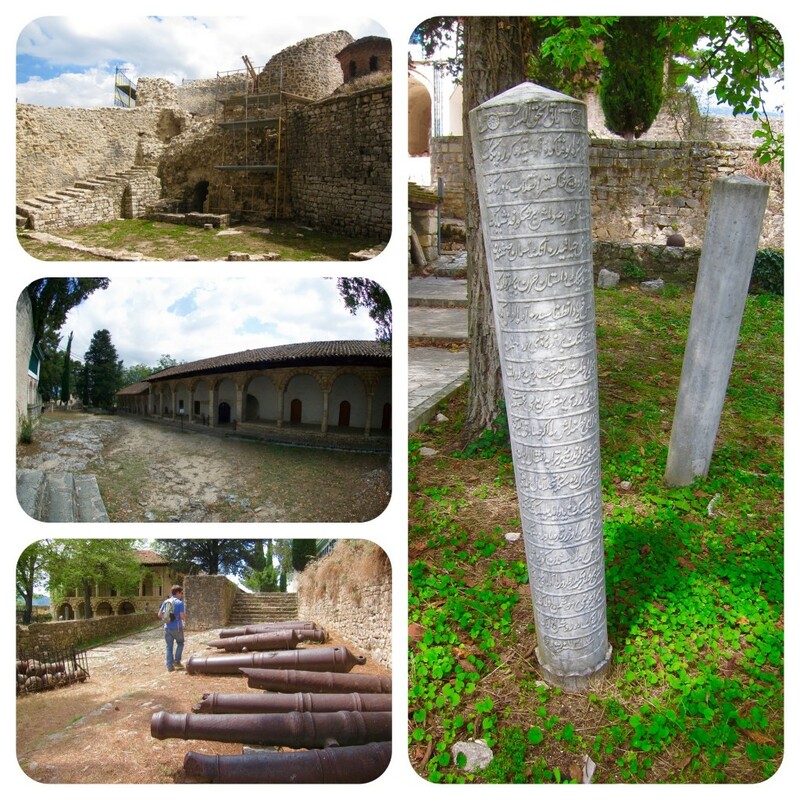 During the Ottoman rule and after the expulsion of the Christian populations from the castle of Ioannina in 1611, this acropolis evolved into a religious center following the construction of a building compound that included the Aslan Pasha Mosque, the tourbe (mausoleum), the kitchen and the Madrasa. During the Ottoman period a second gate was opened in the southwestern side of the enclosure which connected the acropolis with other buildings located on its southern foothills – Turkish Library, hamam and Soufari Seraglio (cavalry school). It was the Ottoman Library that we encountered right before the main Southern gate of the acropolis. As we entered the gate, on the right hand side, there is a half-destroyed building that was used as a Kitchen. A bit further, is an oblong building with many arches and chimneys – Madrases, The Koranic School of Ioannina. It is composed of 16 small rooms that were used as cells for Muslims who were studying there in order to take high hieratic offices. Opposite of Madrases and below the mosque there are some niches that used to house the fountains for the believers to wash their feet, hands and mouth before entering the mosque to pray (according to the Koran, their bodies should be as clean as their souls). Several tombs, multiple rusted cannons as well as cannon-balls occupy the small square between the buildings. After we ascended a few more steps, we found ourselves on top of a rocky mountain with a fantastic panoramic views of the city and the lake. However, I was more interested in the Aslan Pasha Mosque, the cemetery for notable Ottomans and a mausoleum of Aslan Pasha himself, which surrounded the mosque. The Mosque itself is divided into two parts: the vestibule, which was extended up to the exterior columns and arches (the wall with the windows was built later for security reasons), and the main part of the mosque. In the vestibule part, on the right and left sides, there are holes for the believers to leave their shoes before the prayer. Above the main gate of the mosque there is an Arabic script: “There is only one God, and Mohammed is his prophet”, as well as Aslan Pasha’s name and the date of the mosque’s construction – 1618. In old times, the main part (10 m by 10 m) of the mosque was covered with big carpets where muslims knelt in prayer, facing the Mihrab (altar niche) and thus, Mecca. Beside it, on the right, there is the Minbar (pulpit) which Oulemas (priest) would climb up to the seventh step and read different parts of the Koran (the seventh step symbolizes the Seven Heavens). It is a small but beautiful mosque with the semi-arched dome and Koranic scripts decorating it. In the corner, opposite to Minbar, there is a little door leading up to the Minaret. In the past, a meuzzin ascended the 75 steps at least five times a day in order to call the believers to pray. The same door leads up to the Dikka, a small wooden loft, which was used by pilgrims visiting it to pray, to interpret parts of the Koran or to help the Imam. 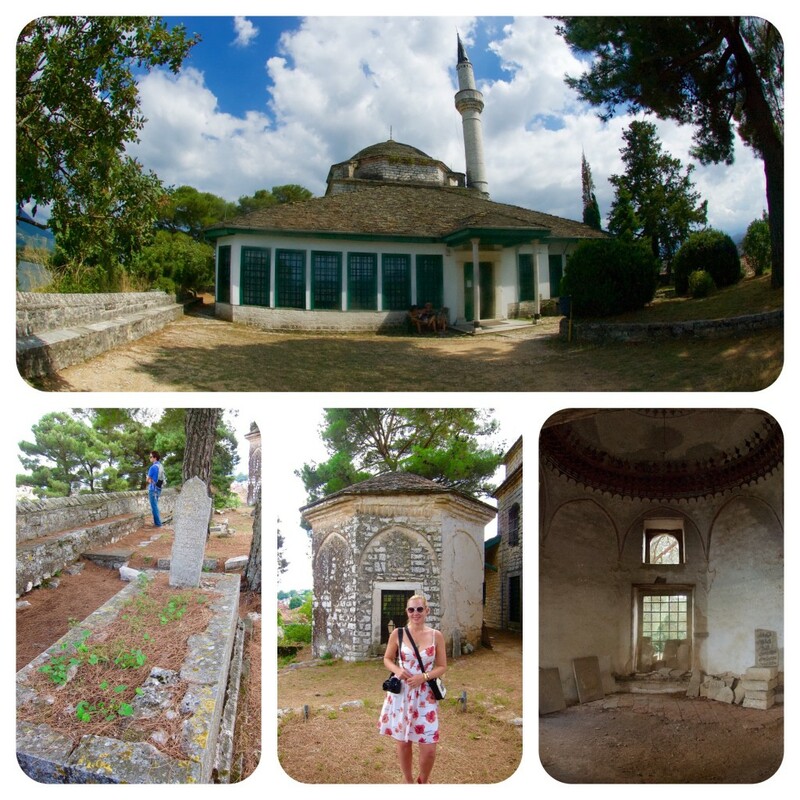 The mosque functioned till 1924 and was abandoned as a result of the population exchange as most Turks left the city. Since 1933 it was turned into the Municipal Ethnographic Museum of Ioannina. 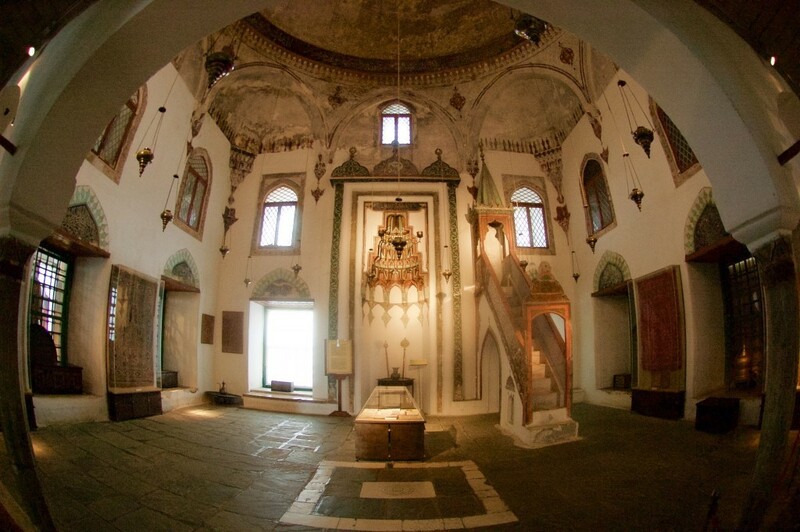 The collection, fully donated to the Museum by notable families in Ioannina, is exhibited in the vestibule area of the Mosque (entry – €3) and divided into three sections – Christian, Muslim and Jewish. Christian collection consists of domestic appliances made of porcelain, gold and silver. The latter are typical of the reputed silver art of Epirus. Traditional clothes of the region of Ioannina and Epirus, jewelry and guns of the 18th-20th century are also on display. In the Jewish section are exhibited textiles (curtains used in front of the altar of the Romaniote Synagogue of Ioannina and fabric that covered the Tik) and local traditional Jewish clothes. 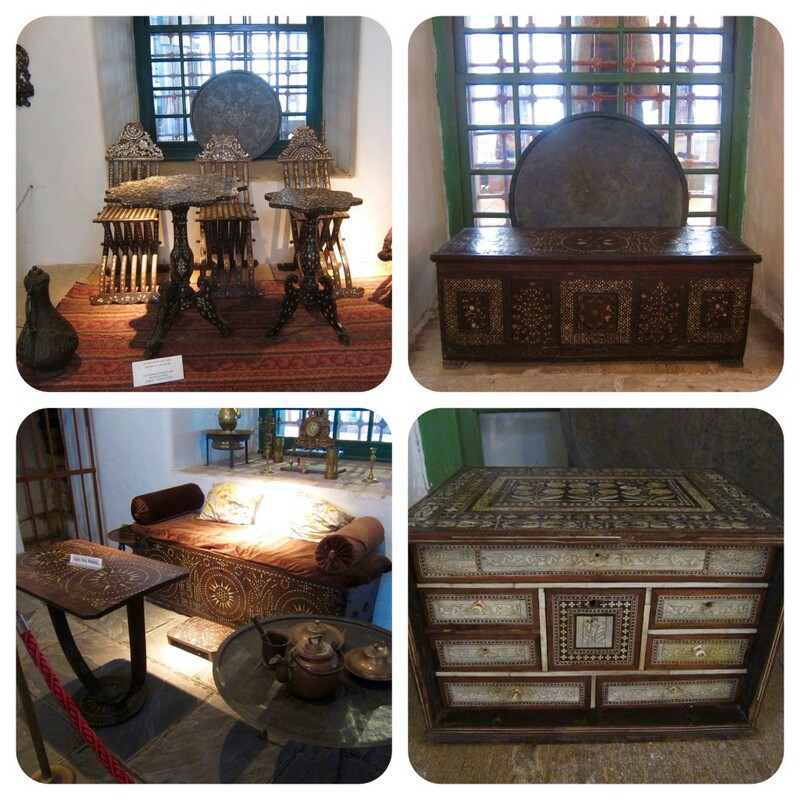 In the Muslim section, occupying the main part of the Mosque, there are eastern textiles of the 16th-18th century, furniture of wallnut and ivory from Ali Pasha’s period, brazen objects of domestic use, chests and an important collection of Muslim religious books. After about 45 minutes at the northwestern acropolis, through the main gate we exited to the streets of Kastro and proceeded to Its Kale, on the other side of the small peninsular. There was this wonderful feeling of walking down the tranquil picturesque and absolutely empty streets of an old town – no tourists, no locals, just D and I. The southeastern citadel, better known by its Ottoman name “Its Kale”, forms essentially a separate fortress within the old town, covering an area of ca. 30,000 m2. Traditionally its establishment has been ascribed to the occupation of the city by Norman king Bohemond I in 1082, and the main Byzantine relic of the period, the large circular tower in the centre of the citadel, is known as the Tower of Bohemond. Here too, however, recent excavations have brought to light Hellenistic-era foundations. Under Ali Pasha, the Its Kale was completely rebuilt and became the magnificent Seraglio (residency) of the powerful ruler. It was here that he built his palace (saray), beginning in 1788. 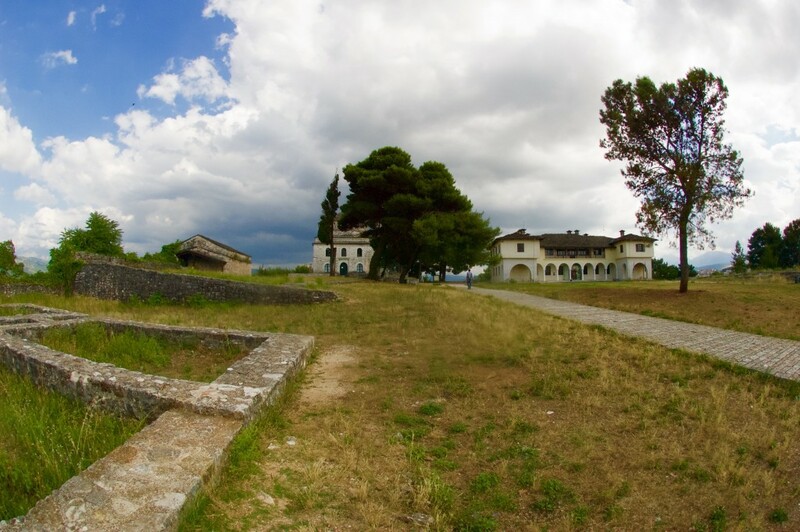 The palace, based on the survived sources and print, is described as a large and complex two-storey structure with many windows giving excellent view to Lake Pamvotis. It continued to serve as the city’s administrative centre until 1870 when it was torn down, although it had already been badly damaged during the 1821–1822 siege by the Sultan’s troops that brought about Ali’s downfall. Excavations have shown that the palace consisted of selamlik (house for men), the harem, buildings for his administrative employees, etc. The surviving ruins belong mostly to the southern portion, including the ruins of the circular Tower of Bohemond. 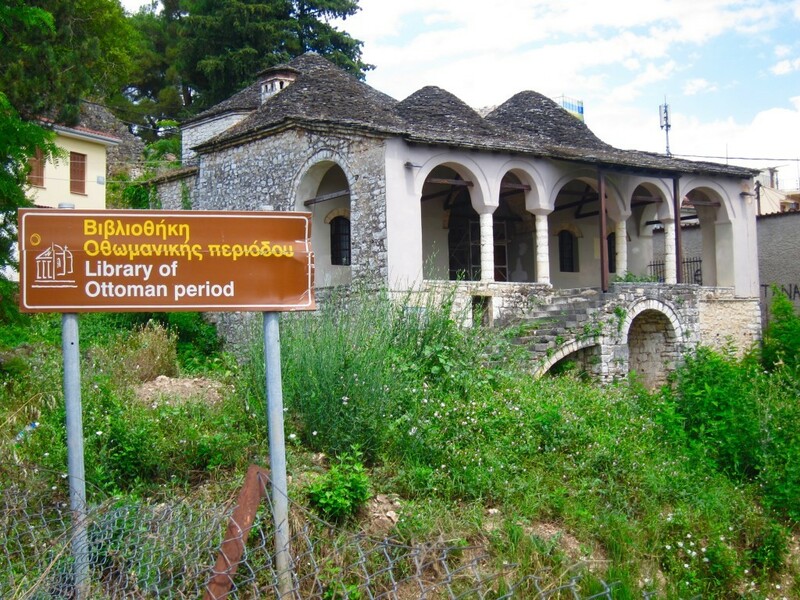 From 1913, the site was used for different purposes but since 1995 it houses the Byzantine Museum of Ioannina. Next to the museum, on the easternmost and highest part of the citadel, lies the Fethiye Mosque. Occupying the space of the city’s Byzantine-era cathedral, it was originally built after the Ottoman conquest in 1430. Rebuilt in grander style in the 17th century, its present form dates to its reconstruction by Ali Pasha ca. 1795. The family tomb of Ali Pasha is at the north-west side of the Mosque. 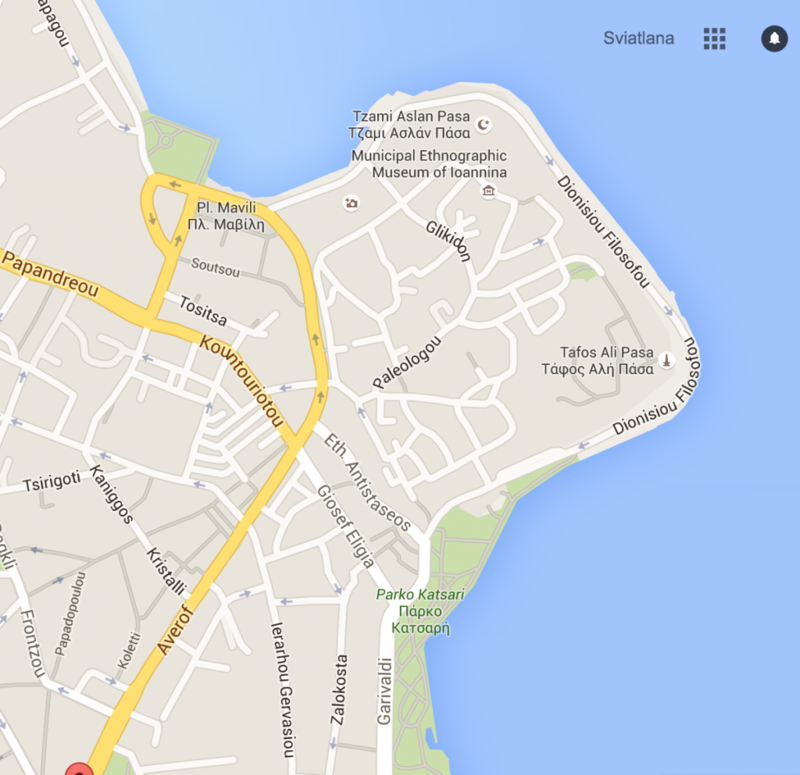 Ali Pasha’s decapitated body was buried there in 1822. His wife Um Giulsum Hanum had been buried there earlier, in 1809 and one of his sons found his resting place there as well. The tomb is covered by an iron lattice work in a shape of a “cage” which is an identical copy of the original one, which was removed during the German occupation in 1943.
a small bath complex to the north. This relatively small area is packed with ruins that require lots of work to reinstate their shapes and purposes, but even the current state can make anyone interested in history feel excited. A cozy cafe housed in one of the restored building was a relief after several hours of walking. Here, we had to say goodbye to the Ottoman Greece. 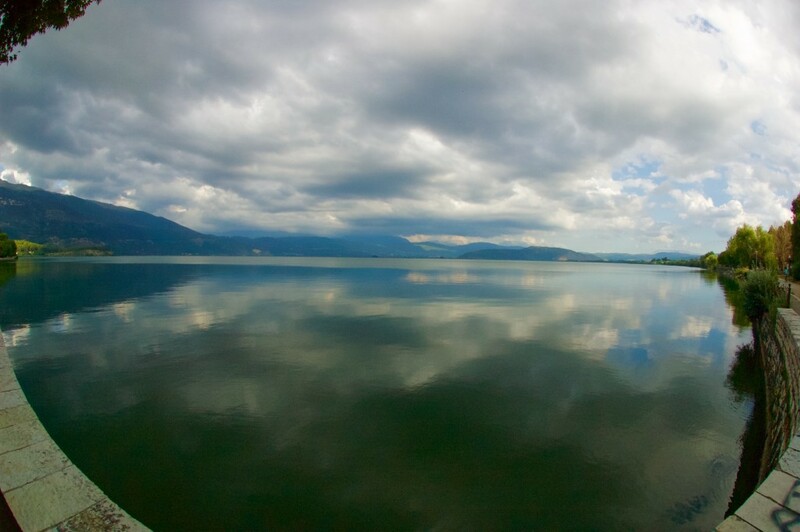 Ioannina and its suburbs have plenty to offer to its visitors – two acropolis within Kastro, Byzantine, Ethnographic and Archeological Museums, Perama Caves, mountainous village of Metsovo and the monasteries of the Ioannina Island, gorge of Moni Tsoukas and 3rd century BC theater of Dodoni. Many of this places we have not visited but left it for the future visits. Before heading back home, we stopped by the Center of Ioannina Traditional Handcraft (called KE.ПА.ВI in Greek) for some silver shopping (please, don’t skip this place!) and took a leisure walk around the beautiful Pamvotis lake. The rest of the evening, we spent with the family. 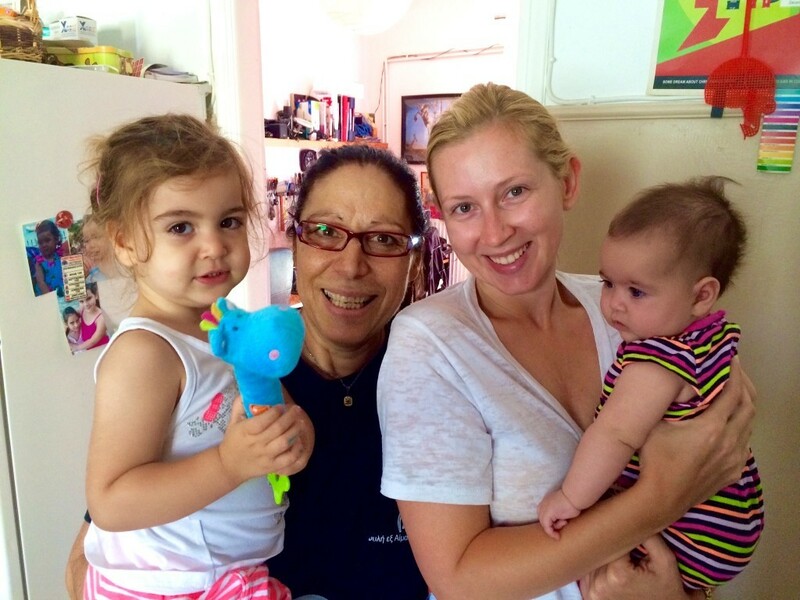 Tomorrow, we were embarking to yet another destination – D grandma’s island – Zakynthos. 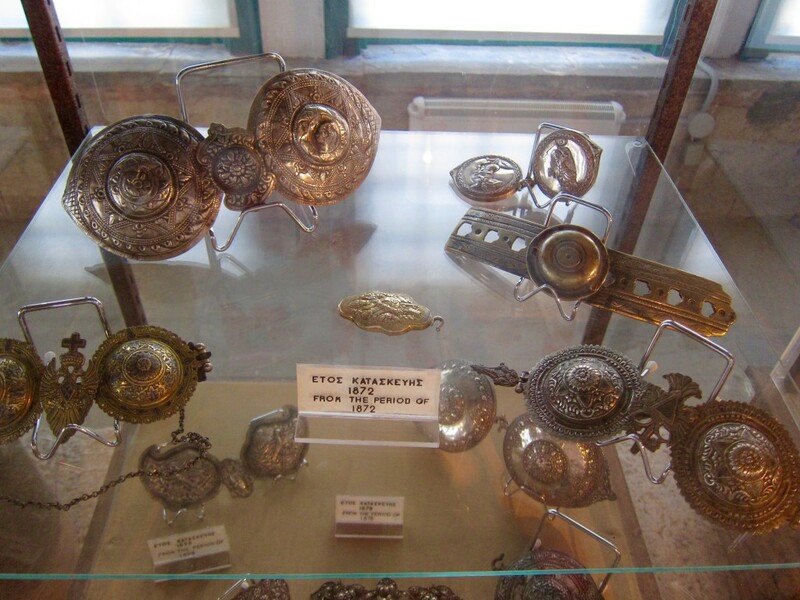 This entry was posted in Europe and tagged Ali Pasha, Aslan Pasha Mosque, Bohemond I, Byzantine Museum of Ioannina, Center of Ioannina Traditional Handcraft, Despotate of Epirus, Dionysius the Philosopher, Epirus, Fethiye Mosque, Greece, Ioannina, Justinian I, Kastro, KE.ПА.ВI, Michael I Komnenos Doukas, Municipal Ethnographic Museum of Ioannina, northern Greece, Pamvotis Lake, Perama cave, Romaniote Synagogue of Ioannina. Bookmark the permalink.